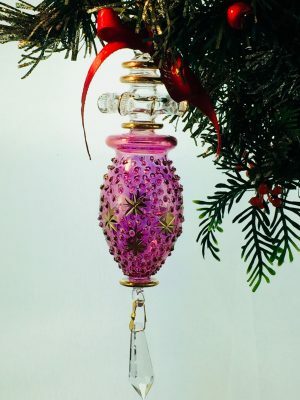 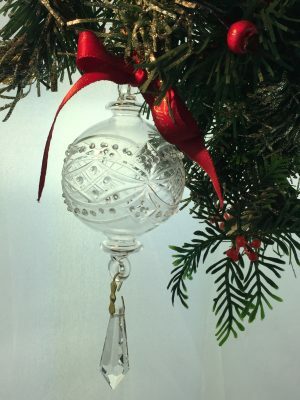 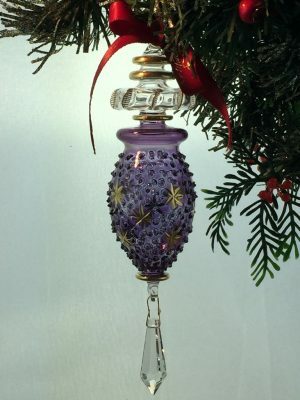 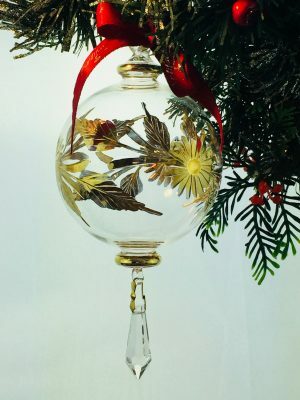 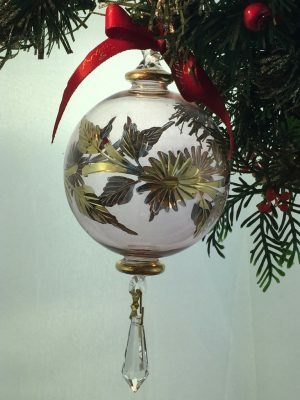 This gorgeous bauble is hand etched, with raised glass dots. 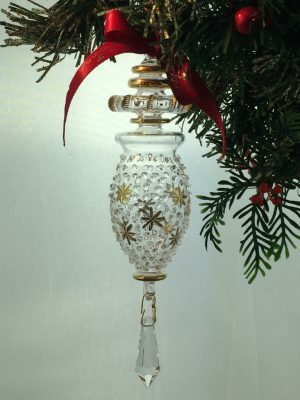 It is embellished with a real cut crystal tear drop attached with metal ormolu at the very bottom. 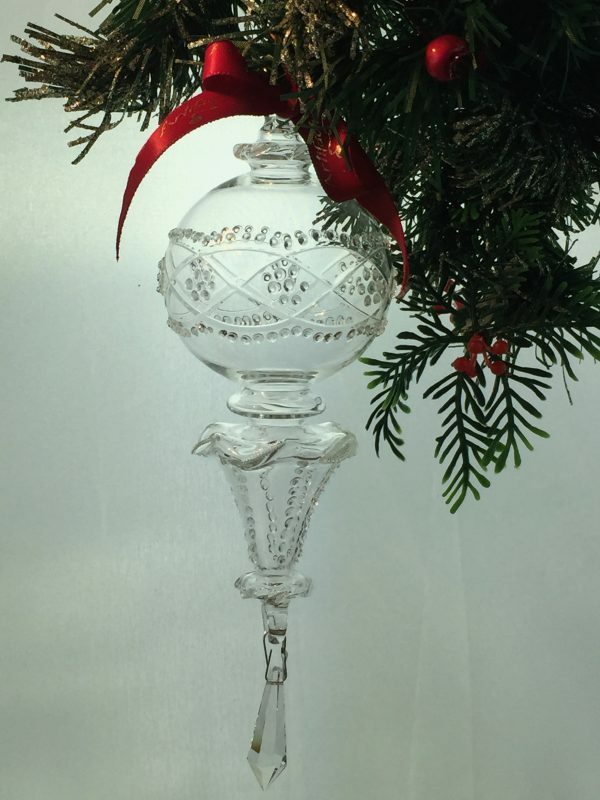 Just like a mini chandelier.